What makes Core Temp unique is the way it works. It is capable of displaying a temperature of each individual core of every processor in your system. You can see temperature fluctuations in real time with varying workloads. Core Temp is also motherboard agnostic. Core Temp makes it easy for you to monitor the temperature of any modern x86 based processor. 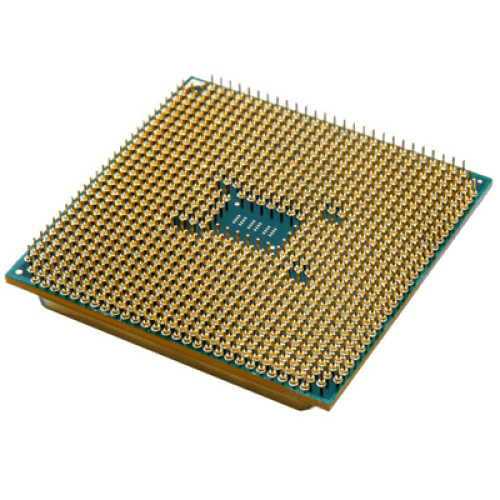 The program supports processors from all three major manufacturers; Intel, AMD and VIA. Intel processors starting with the "Core" series all the way up to the newest Core i7, including all the derivatives. AMD processors starting with the first Athlon64 and Opteron processor series, all Phenom and AMD's new APU are supported. VIA processors starting with the C7 generation of CPUs, including all the derivatives based on the C7 architecture. All of the Nano based processors are supported as well. The temperature readings are very accurate as the data is collected directly from a Digital Thermal Sensor (or DTS) which is located in each individual processing core*, near the hottest part. This sensor is digital, which means it doesn't rely on an external circuit located on the motherboard to report temperature, its value is stored in a special register in the processor so that software can access and read it. This eliminates any inaccuracies that can be introduced by external motherboard circuits and sensors. New: Add support for 2nd generation Threadripper processors, Socket FP5. Fix: Crash when 5 or more cores exceed overheat protection temperature setting. Fix: "No supported CPU detected" on Ryzen processors. Fix: Constant frequency readings on Ryzen processors. Fix: Incorrect readings on Ryzen processors. New: Support for AMD EPYC (Naples) processors, Stoney Ridge APUs. Fix: AMD processor or core recognition issues on multiple generations. Fix: Some AMD processors reported incorrect Max temperatures when other hardware monitoring utilities are used. Fix: Power detection on multiprocessor Intel machines. Fix: Correct topology information on high-end, high-core systems. Fix: Check for updates on older operating systems. Fix: Settings window Tab control background when themes are disabled in Windows. Fix: L1 Instruction cache was reported as L1 Unified cache on most processors. Fix: L2 cache was incorrectly reported on newer VIA processors. Fix: Multiple other VIA related improvements and fixes.